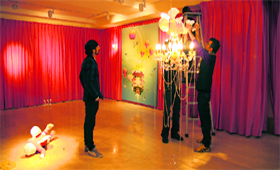 The much-touted India Art summit, rechristened India Art Fair, is back with a host of art galleries in tow. It is a grand total of 91, out of which 46 are from India. And it’s not just the India Art Fair that showcases gallery power in the world of art, many private art galleries seem to have taken upon themselves to showcase India’s art. Soon a replica of the famous Cellular Jail in the Andaman and Nicobar Islands, along with some original fittings and articles, will be seen in Mumbai at the country’s first upcoming museum dedicated to revolutionaries of the Indian freedom struggle. Losing a loved one can really break your heart. In fact, the risk of an attack is significantly higher on the first day of bereavement itself, say researchers. A study has found that the death of a loved one makes you up to 21 times more likely to suffer a heart attack within a day of your loss; and during the first week of bereavement, the risk is almost six times higher than normal. What defines the character of a man is often what he defines as his limit. The point where he thinks he cannot go on. Where he gives in and turns around, ready with an excuse. But then character is like a rough diamond. Some people live cozy with the knowledge that somewhere inside the rough exterior, lies a shining gem, and some others, hit every possible obstacle, with utmost zeal, and look at the roughing up as an integral part of the quest.